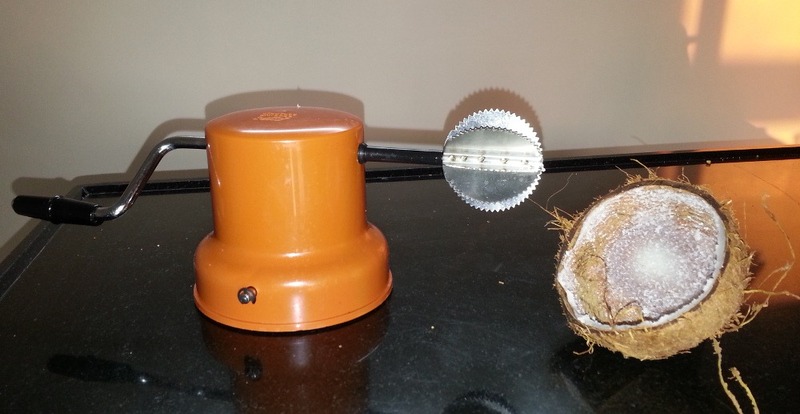 It’s a coconut reamer – the perfect tool needed to produce fluffy grated fresh coconut from a whole nut. Grated coconut is a common cooking ingredient, and the best is obtained by buying the coconuts and shredding them yourself. And if we choose to save the husks, I’m sure we’ll have enough to outfit an entire clip-clop cavalry detachment by the time we return home. You can make out the tail section in the center. Long time needlework pal Kathryn is probably right – the graphed pattern used in this MMario Knits design has a very Renaissance look, and resembles several patterns in the various editions of Siebmacher’s modelbooks. I’ve been through his 1597 pattern book on line, and didn’t find it, but recourse to my library is a bit constrained over here in India, so I am not giving up yet. (Aside: Kathryn provides a selection of the 1597 patterns in her collection Patterns from Renaissance Germany, available on Flowers of the Needle). Speaking of useful tools, I’m getting frustrated by my limited selection of knitting needles, especially the circular needles. 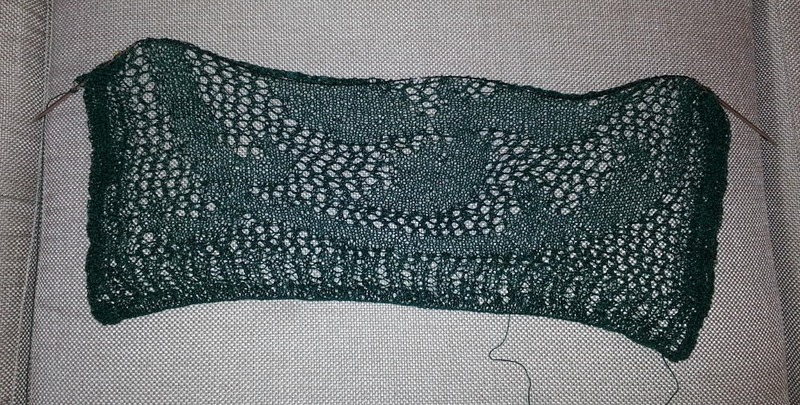 Some are too long for the desired project, some too short… I’ve been looking at sets of needles offered online and would love to know if you have an opinion on a type you would recommend or, also good, a type to stay away from. I’ve seen sets by Boye, Denise, Addi Click, Clover and Knitter’s Pride. Howz a gal to choose?? Nili – Good question! I’ve held off buying an interchangeable needle set for a very long time. I like circulars with long shanks (the needle part) very pointy points, smooth joins between the needle and the cable, and very flexible cables. The Denise sets have thick, inflexible cables. The shanks of the Boye sets were way too short. Clover wasn’t very pointy and also had shorter shanks. I’ve not seen the Addi Click ones in person. Still, I was packing to come over here and wanted to bring an all purpose set with me to fill in the gaps among my other needles. I ended up making a compromise among available choices and bought a Knitters Pride metal set – not the wood one. I avoided wood because I tend to snap wooden needles due to the way I hold them, and the join between the wood and the attachment to the cable represented a second potential failure point on each needle. The KP-metal shanks are just barely long enough for me, the cables are nice and flexible, but the points are a bit more blunt than I prefer. The lengths of the cables provided in the set are convenient. In terms of performance, I will say that of the two tip sets I’ve used so far, one of the shanks in each set had the annoying tendency of loosening, opening up a yarn-catching gap between cable and needle part. So I’m not 100% happy with the set, but I haven’t given up on it either. Yes, it does help, thank you. You break your needles?? Yow. That’s scary. I’ve been reading and reading descriptions of all the needle sets I can find as well as customer reviews which are definitely a mixed bag. Addi is the company that seems to stand out in ease of use, options like longer or shorter shanks and their reported quality–not surprising when I found out they are German made. They also cost an arm and a leg as I’m sure you know. I found a company which is specifically an Addi dealer at addineedleshop (dot)com and liked the owner’s descriptions of how they, a husband and wife who both knit, got used to the addi click connection system. The price is the same as on Amazon but they offer free shipping worldwide so I’m reading on. I don’t have the option of actually seeing, feeling and comparing the needle types so it’s a bit of a guessing game as to the right choice. I’m going to read some more, wearing my newly completed cowl, knitted on standard old Boye circular needles in a soft 2 ply yarn. I really like the Addi lace interchangeable needles – these are offered in both short and long shanks, nickel plated instead of the brass like the other Addi lace, so best of both types since they have nice points. I like that they are great to use, have a good selection of cord lengths that are flexible and guaranteed. Worth the investment.